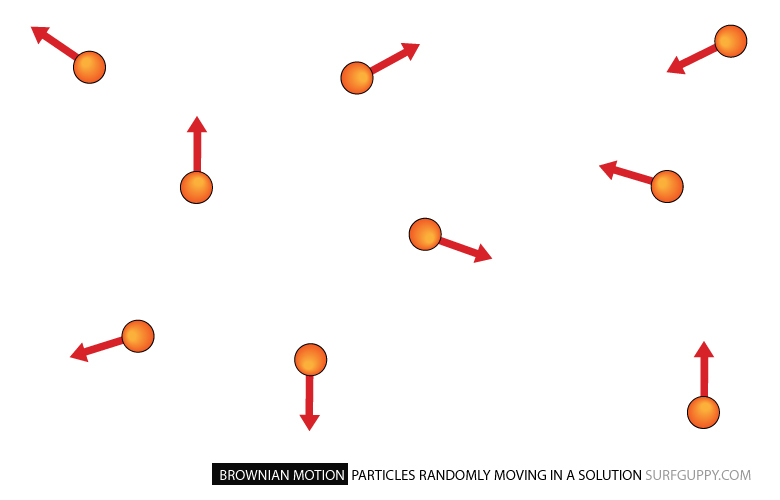 Irregular motion of suspended particles is called “Brownian Motion”. Robert Brown was a Scottish botanist who first discovered the Brownian motion. He noticed random motion of pollen grains dispersed in water under a microscope as if they are constantly dancing. 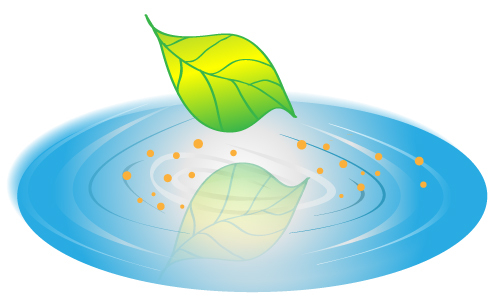 Brownian motion results from the collision of the particles of the suspension (or liquid) and the dispersed particles (the pollen grains). Examples of where you might find Brownian motion is flour and water, pollen and water, paint and water. 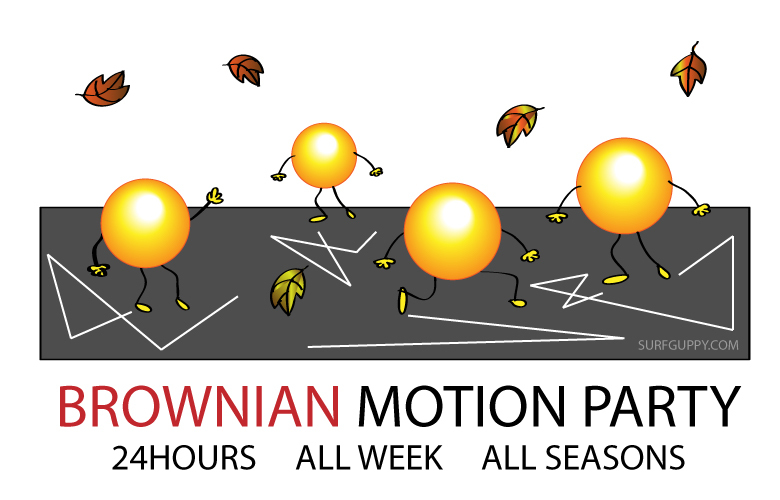 Brownian motion can be found in the air too. Ever notice the dust particles moving around when a shaft of light shines through the window? Adding heat to the suspension will make the particles move faster and collide with each other more. Do you know that the suspended particles are constantly in collision with the molecules of the surrounding medium? 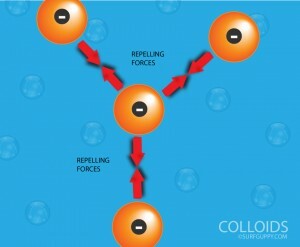 These particles are known as colloids and the zig-zag like movement of colloids are known as Brownian motion. More reading about colloids and properties.